1. Which of the following is the most harmful cause of oceanic water pollution? 2. Which of the following is the leading cause of death and diseases worldwide? 5. Which of the following is the major reason for algal bloom? 6. Which of the following is the major cause of biomagnifications? 7. 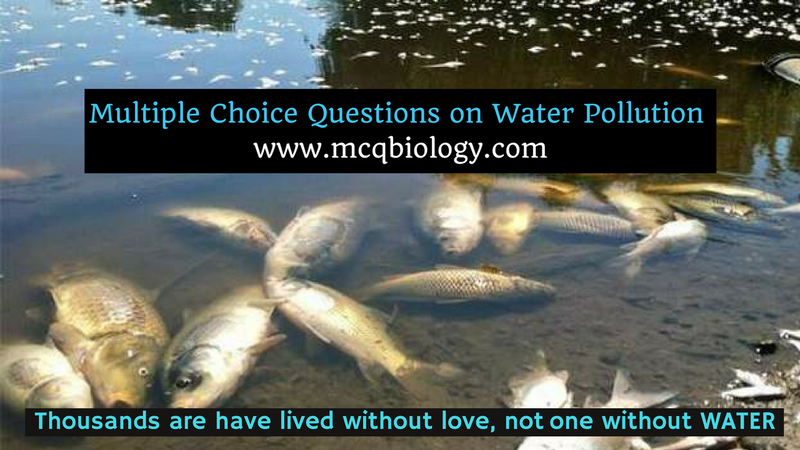 Which of the following is an indicator of organic water pollution?